I often hear people who are happy because PyPy makes their code 2 times faster or so. Here is a short personal story which shows PyPy can go well beyond that. DISCLAIMER: this is not a silver bullet or a general recipe: it worked in this particular case, it might not work so well in other cases. But I think it is still an interesting technique. Moreover, the various steps and implementations are showed in the same order as I tried them during the development, so it is a real-life example of how to proceed when optimizing for PyPy. Some months ago I played a bit with evolutionary algorithms: the ambitious plan was to automatically evolve a logic which could control a (simulated) quadcopter, i.e. a PID controller (spoiler: it doesn't fly). The idea is to have an initial population of random creatures: at each generation, the ones with the best fitness survive and reproduce with small, random variations. self.matrix and self.constant contains the actual logic. By putting the "right" values there, in theory we could get a perfectly tuned PID controller. These are randomly mutated between generations. run_step is called at 100Hz (in the virtual time frame of the simulation). At each generation, we test 500 creatures for a total of 12 virtual seconds each. So, we have a total of 600,000 executions of run_step at each generation. Which means ~6.15 seconds/generation, excluding the first. So, ~2.7 seconds on average: this is 12x faster than PyPy+numpy, and more than 2x faster than the original CPython. At this point, most people would be happy and go tweeting how PyPy is great. In general, when talking of CPython vs PyPy, I am rarely satified of a 2x speedup: I know that PyPy can do much better than this, especially if you write code which is specifically optimized for the JIT. 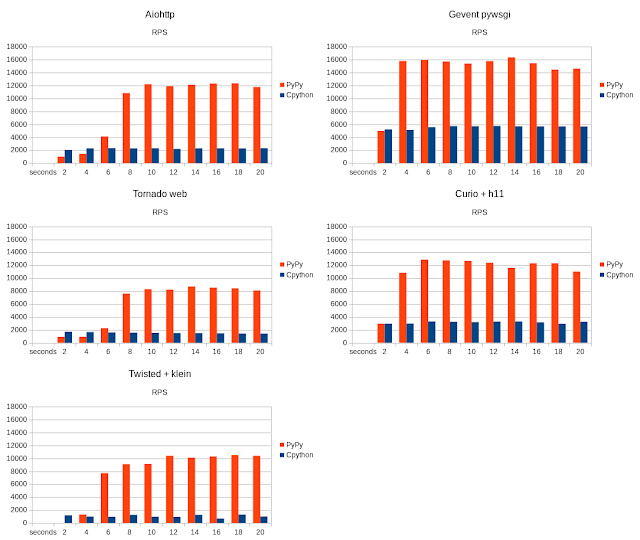 For a real-life example, have a look at capnpy benchmarks, in which the PyPy version is ~15x faster than the heavily optimized CPython+Cython version (both have been written by me, and I tried hard to write the fastest code for both implementations). So, let's try to do better. As usual, the first thing to do is to profile and see where we spend most of the time. Here is the vmprof profile. We spend a lot of time inside the internals of numpypy, and allocating tons of temporary arrays to store the results of the various operations. 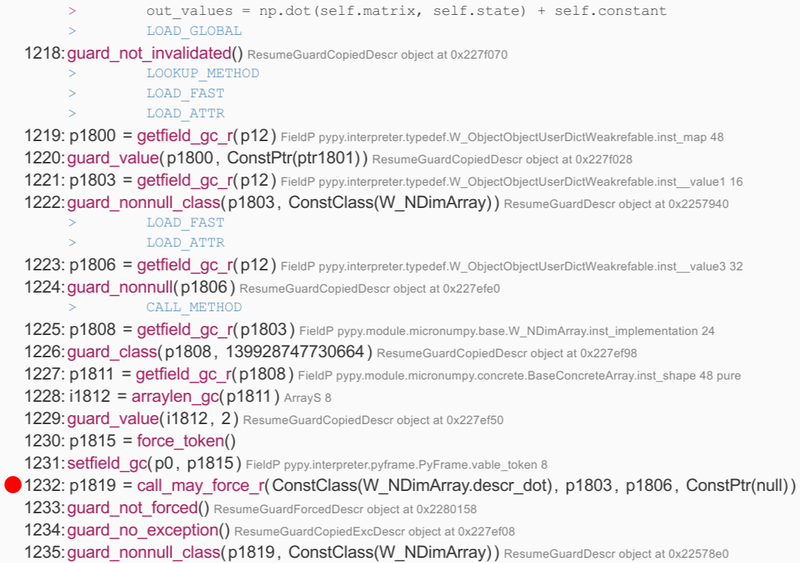 All of this is very suboptimal: in this particular case, we know that the shape of self.matrix is always (3, 2): so, we are doing an incredible amount of work, including calling malloc() twice for the temporary arrays, just to call two functions which ultimately do a total of 6 multiplications and 6 additions. Note also that this is not a fault of the JIT: CPython+numpy has to do the same amount of work, just hidden inside C calls. One possible solution to this nonsense is a well known compiler optimization: loop unrolling. From the compiler point of view, unrolling the loop is always risky because if the matrix is too big you might end up emitting a huge blob of code, possibly uselss if the shape of the matrices change frequently: this is the main reason why the PyPy JIT does not even try to do it in this case. In the actual code there is also a sanity check which asserts that the computed output is the very same as the one returned by Creature.run_step. Yes, it's not an error. After a couple of generations, it stabilizes at around ~0.07-0.08 seconds per generation. This is around 80 (eighty) times faster than the original CPython+numpy implementation, and around 35-40x faster than the naive PyPy+numpypy one. Let's look at the trace again: it no longer contains expensive calls, and certainly no more temporary malloc() s. The core of the logic is between lines 386-416, where we can see that it does fast C-level multiplications and additions: float_mul and float_add are translated straight into mulsd and addsd x86 instructions. As I said before, this is a very particular example, and the techniques described here do not always apply: it is not realistic to expect an 80x speedup on arbitrary code, unfortunately. However, it clearly shows the potential of PyPy when it comes to high-speed computing. And most importantly, it's not a toy benchmark which was designed specifically to have good performance on PyPy: it's a real world example, albeit small. You might be also interested in the talk I gave at last EuroPython, in which I talk about a similar topic: "The Joy of PyPy JIT: abstractions for free" (abstract, slides and video). The Python community has been discussing removing the Global Interpreter Lock for a long time. There have been various attempts at removing it: Jython or IronPython successfully removed it with the help of the underlying platform, and some have yet to bear fruit, like gilectomy. Since our February sprint in Leysin, we have experimented with the topic of GIL removal in the PyPy project. We believe that the work done in IronPython or Jython can be reproduced with only a bit more effort in PyPy. Compared to that, removing the GIL in CPython is a much harder topic, since it also requires tackling the problem of multi-threaded reference counting. See the section below for further details. As we announced at EuroPython, what we have so far is a GIL-less PyPy which can run very simple multi-threaded, nicely parallelized, programs. At the moment, more complicated programs probably segfault. The remaining 90% (and another 90%) of work is with putting locks in strategic places so PyPy does not segfault during concurrent accesses to data structures. Since such work would complicate the PyPy code base and our day-to-day work, we would like to judge the interest of the community and the commercial partners to make it happen (we are not looking for individual donations at this point). We estimate a total cost of $50k, out of which we already have backing for about 1/3 (with a possible 1/3 extra from the STM money, see below). This would give us a good shot at delivering a good proof-of-concept working PyPy with no GIL. If we can get a $100k contract, we will deliver a fully working PyPy interpreter with no GIL as a release, possibly separate from the default PyPy release. People asked several questions, so I'll try to answer the technical parts here. What would the plan entail? We've already done the work on the Garbage Collector to allow doing multi- threaded programs in RPython. "All" that is left is adding locks on mutable data structures everywhere in the PyPy codebase. Since it would significantly complicate our workflow, we require real interest in that topic, backed up by commercial contracts in order to justify the added maintenance burden. Why did the STM effort not work out? Wouldn't subinterpreters be a better idea? Python is a very mutable language - there are tons of mutable state and basic objects (classes, functions,...) that are compile-time in other language but runtime and fully mutable in Python. In the end, sharing things between subinterpreters would be restricted to basic immutable data structures, which defeats the point. Subinterpreters suffers from the same problems as multiprocessing with no additional benefits. We believe that reducing mutability to implement subinterpreters is not viable without seriously impacting the semantics of the language (a conclusion which applies to many other approaches too). Why is it easier to do in PyPy than CPython? what to do with reference counting that needs to be guarded. PyPy only has the former problem; the latter doesn't exist, due to a different garbage collector approach. Of course the first problem is a mess too, but at least we are already half-way there. Compared to Jython or IronPython, PyPy lacks some data structures that are provided by JVM or .NET, which we would need to implement, hence the problem is a little harder than on an existing multithreaded platform. However, there is good research and we know how that problem can be solved. We are happy to announce a new release for the PyPI package vmprof. It is now able to capture native stack frames on Linux and Mac OS X to show you bottle necks in compiled code (such as CFFI modules, Cython or C Python extensions). It supports PyPy, CPython versions 2.7, 3.4, 3.5 and 3.6. Special thanks to Jetbrains for funding the native profiling support. The goal of vmprof package is to give you more insight into your program. It is a statistical profiler. Another prominent profiler you might already have worked with is cProfile. It is bundled with the Python standard library. vmprof's distinct feature (from most other profilers) is that it does not significantly slow down your program execution. The employed strategy is statistical, rather than deterministic. Not every function call is intercepted, but it samples stack traces and memory usage at a configured sample rate (usually around 100hz). You can imagine that this creates a lot less contention than doing work before and after each function call. As mentioned earlier cProfile gives you a complete profile, but it needs to intercept every function call (it is a deterministic profiler). Usually this means that you have to capture and record every function call, but this takes an significant amount time. The overhead vmprof consumes is roughly 3-4% of your total program runtime or even less if you reduce the sampling frequency. Indeed it lets you sample and inspect much larger programs. If you failed to profile a large application with cProfile, please give vmprof a shot. While the command line tool is only good for quick inspections, vmprof.com and PyCharm compliment each other providing deeper insight into your program. With PyCharm you can view the per-line profiling results inside the editor. 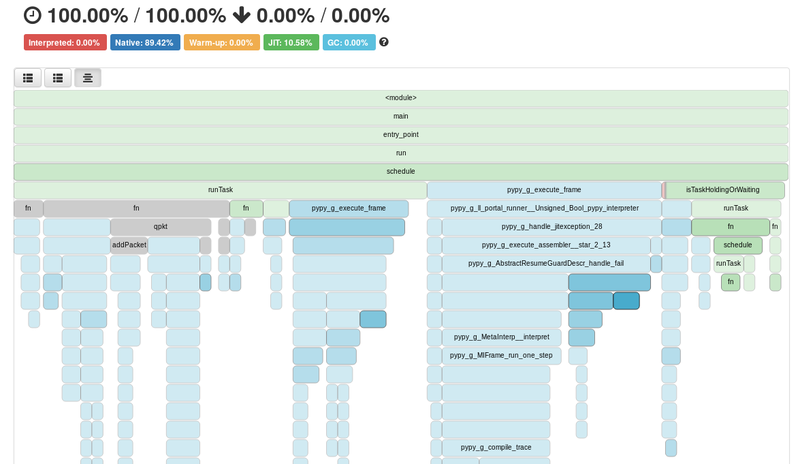 With the vmprof.com you get a handy visualization of the profiling results as a flame chart and memory usage graph. Since the PyPy Team runs and maintains the service on vmprof.com (which is by the way free and open-source), I’ll explain some more details here. On vmprof.com you can inspect the generated profile interactively instead of looking at console output. What is sent to vmprof.com? You can find details here. Flamegraph: Accumulates and displays the most frequent codepaths. It allows you to quickly and accurately identify hot spots in your code. The flame graph below is a very short run of richards.py (Thus it shows a lot of time spent in PyPy's JIT compiler). List all functions (optionally sorted): the equivalent of the vmprof command line output in the web. Memory curve: A line plot that shows how how many MBytes have been consumed over the lifetime of your program (see more info in the section below). The new feature introduced in vmprof 0.4.x allows you to look beyond the Python level. 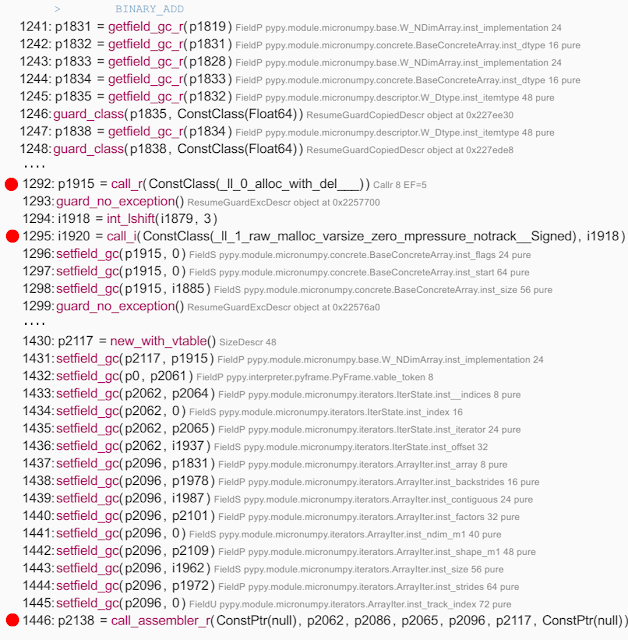 As you might know, Python maintains a stack of frames to save the execution. Up to now the vmprof profiles only contained that level of information. But what if you program jumps to native code (such as calling gzip compression on a large file)? Up to now you would not see that information. Many packages make use of the CPython C API (which we discurage, please lookup cffi for a better way to call C). Have you ever had the issue that you know that your performance problems reach down to, but you could not profile it properly? Now you can! Take two NxN random matrix objects and create a dot product. The first argument to the dot product provides the absolute value of the random matrix. Note that the Linux machine operates on a 5 times smaller matrix, still it takes much longer. What is wrong? Is Linux slow? CPython 3.6.0? Well no, lets inspect and  and  (shown below in that order). runs on Linux, spends nearly all of the time in PyArray_MatrixProduct2, if you compare to  on Mac OS X, you'll see that a lot of time is spent in generating the random numbers and the rest in cblas_matrixproduct. Blas has a very efficient implementation so you can achieve the same on Linux if you install a blas implementation (such as openblas). Usually you can spot potential program source locations that take a lot of time and might be the first starting point to resolve performance issues. It is not unthinkable that the strategy can be reused for native programs. Indeed this can already be done by creating a small cffi wrapper around an entry point of a compiled C program. It would even work for programs compiled from other languages (e.g. C++ or Fortran). The resulting function names are the full symbol name embedded into either the executable symboltable or extracted from the dwarf debugging information. Most of those will be compiler specific and contain some cryptic information. We thankfully received a code contribution from the company Blue Yonder. They have built a memory profiler (for Linux and Mac OS X) on top of vmprof.com that displays the memory consumption for the runtime of your process. By adding --mem, vmprof will capture memory information and display it in the dedicated view on vmprof.com. You can tha view by by clicking the 'Memory' switch in the flamegraph view. vmprof has not reached the end of development. There are many features we could implement. But there is one feature that could be a great asset to many Python developers. Continuous delivery of your statistical profile, or in short, profile streaming. One of the great strengths of vmprof is that is consumes very little overhead. It is not a crazy idea to run this in production. It would require a smart way to stream the profile in the background to vmprof.com and new visualizations to look at much more data your Python service produces. There are some immediate things other people could help with. Either by donating time or money (yes we have occasional contributors which is great)! We gladly received code contribution for the memory profiler. But it was not enough time to finish the migration completely. Sadly it is a bit brittle right now. We would like to spend more time on other visualizations. This should include to give a much better user experience on vmprof.com (like a tutorial that explains the visualization that we already have). We are also happy to accept google summer of code projects on vmprof for new visualizations and other improvements. If you qualify and are interested, don't hesitate to ask! The PyPy team is proud to release both PyPy2.7 v5.7 (an interpreter supporting Python v2.7 syntax), and a beta-quality PyPy3.5 v5.7 (an interpreter for Python v3.5 syntax). The two releases are both based on much the same codebase, thus the dual release. Note that PyPy3.5 only supports Linux 64bit for now. This new PyPy2.7 release includes the upstream stdlib version 2.7.13, and PyPy3.5 (our first in the 3.5 series) includes the upstream stdlib version 3.5.3. We continue to make incremental improvements to our C-API compatibility layer (cpyext). PyPy2 can now import and run many C-extension packages, among the most notable are Numpy, Cython, and Pandas. Performance may be slower than CPython, especially for frequently-called short C functions. Please let us know if your use case is slow, we have ideas how to make things faster but need real-world examples (not micro-benchmarks) of problematic code. Work proceeds at a good pace on the PyPy3.5 version due to a grant from the Mozilla Foundation, hence our first 3.5.3 beta release. Thanks Mozilla !!! While we do not pass all tests yet, asyncio works and as these benchmarks show it already gives a nice speed bump. We also backported the f"" formatting from 3.6 (as an exception; otherwise “PyPy3.5” supports the Python 3.5 language). CFFI has been updated to 1.10, improving an already great package for interfacing with C.
We now use shadowstack as our default gcrootfinder even on Linux. The alternative, asmgcc, will be deprecated at some future point. While about 3% slower, shadowstack is much more easily maintained and debuggable. Also, the performance of shadowstack has been improved in general: this should close the speed gap between other platforms and Linux. 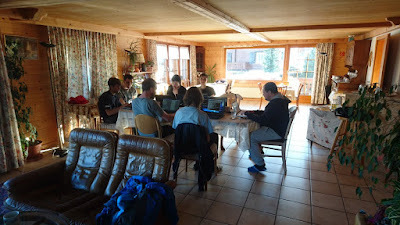 Today is the last day of our yearly sprint event in Leysin. We had lots of ideas on how to enhance the current state of PyPy, we went skiing and had interesting discussions around virtual machines, the Python ecosystem, and other real world problems. Why don't you join us next time? Planning Session: Tasks from previous days that have seen progress or are completed are noted in a shared document. Everyone adds new tasks and then assigns themselves to one or more tasks (usually in pairs). As soon as everybody is happy with their task and has a partner to work with, the planning session is concluded and the work can start. Discussions: A sprint is a good occasion to discuss difficult and important topics in person. We usually sit down in a separate area in the sprint room and discuss until a) nobody wants to discuss anymore or b) we found a solution to the problem. The good thing is that usally the outcome is b). Lunch: For lunch we prepare sandwiches and other finger food. 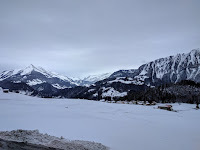 Continue working until dinner, which we eat at a random restaurant in Leysin. Goto 1 the next day, if sprint has not ended. Sprints are open to everybody and help newcomers to get started with PyPy (we usually pair you with a developer familiar with PyPy). They are perfect to discuss and find solutions to problems we currently face. If you are eager to join next year, please don't hesitate to register next year around January. We have spent lots of time debugging and fixing memory issues on CPyExt. In particular, we fixed a serious memory leak where taking a memoryview would prevent numpy arrays from ever being freed. More work is still required to ensure that our GC always releases arrays in a timely manner. Fruitful discussions and progress about how to flesh out some details about the unicode representation in PyPy. Our current goal is to use utf-8 as the unicode representation internally and have fast vectorized operations (indexing, check if valid, ...). PyPy will participate in GSoC 2017 and we will try to allocate more resources to that than last year. Profile and think about some details how to reduce the starting size of the interpreter. The starting point would be to look at the parser and reduce the amount of strings to keep alive. Found a topic for a student's master thesis: correctly freeing cpyext reference cycles. 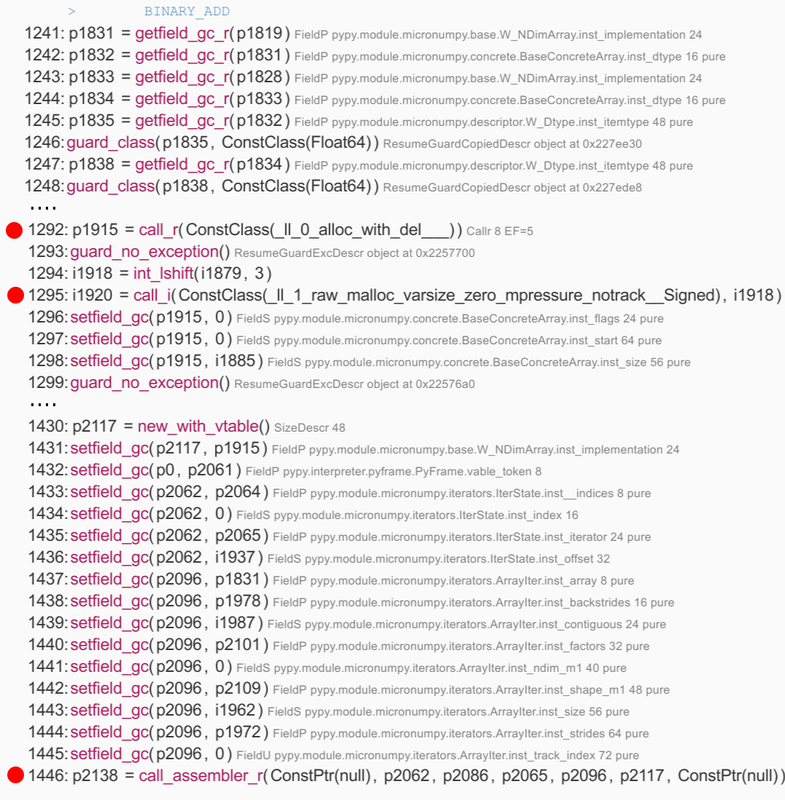 Run lots of Python3 code on top of PyPy3 and resolve issues we found along the way. Initial work on making RPython thread-safe without a GIL. 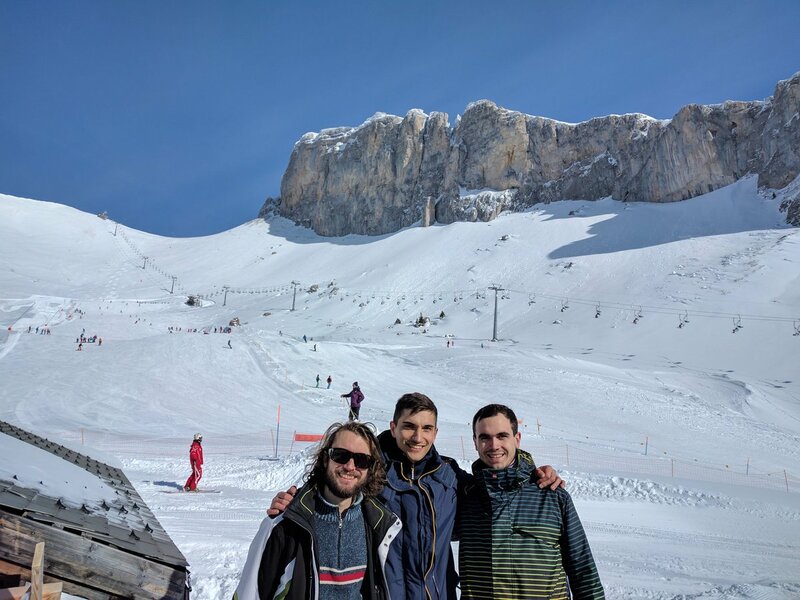 We would like to thank our donors for the continued support of the PyPy project and we looking forward to next years sprint in Leysin. Since Mozilla announced funding, we've been working quite hard on delivering you a working Python 3.5. We are almost ready to release an alpha version of PyPy 3.5. Our goal is to release it shortly after the sprint. Many modules have already been ported and it can probably run many Python 3 programs already. We are happy to receive any feedback after the next release. To show that the heart (asyncio) of Python 3 is already working we have prepared some benchmarks. They are done by Paweł Piotr Przeradowski @squeaky_pl for a HTTP workload on serveral asynchronous IO libraries, namely the relatively new asyncio and curio libraries and the battle-tested tornado, gevent and Twisted libraries. To see the benchmarks check out https://github.com/squeaky-pl/zenchmarks and the instructions for reproducing can be found inside README.md in the repository. Raw results can be obtained from https://github.com/squeaky-pl/zenchmarks/blob/master/results.csv. 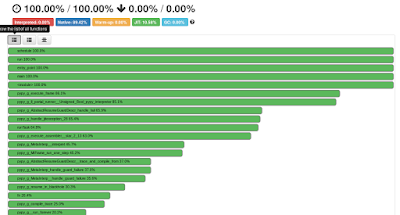 The purpose of the presented benchmarks is showing that the upcoming PyPy release is already working with unmodified code that runs on CPython 3.5. PyPy also manages to make them run significantly faster. The benchmarks consist of HTTP servers implemented on the top of the mentioned libraries. All the servers are single-threaded relying on underlying event loops to provide concurrency. Access logging was disabled to exclude terminal I/O from the results. The view code consists of a lookup in a dictionary mapping ASCII letters to verses from the famous Zen of Python. If a verse is found the view returns it, otherwise a 404 Not Found response is served. The 400 Bad Request and 500 Internal Server Error cases are also handled. The workload was generated with the wrk HTTP benchmarking tool. It is run with one thread opening up to 100 concurrent connections for 2 seconds and repeated 1010 times to get consecutive measures. There is a Lua script provided that instructs wrk to continuously send 24 different requests that hit different execution paths (200, 404, 400) in the view code. Also it is worth noting that wrk will only count 200 responses as successful so the actual request per second throughput is higher. For your convenience all the used libraries versions are vendored into the benchmark repository. There is also a precompiled portable version of wrk provided that should run on any reasonably recent (10 year old or newer) Linux x86_64 distribution. The benchmark was performed on a public cloud scaleway x86_64 server launched in a Paris data center. The server was running Ubuntu 16.04.01 LTS and reported Intel(R) Xeon(R) CPU D-1531 @ 2.20GHz CPU. CPython 3.5.2 (shipped by default in Ubuntu) was benchmarked against a pypy-c-jit-90326-88ef793308eb-linux64 snapshot of the 3.5 compatibility branch of PyPy. We want to thank Mozilla for supporting our work! 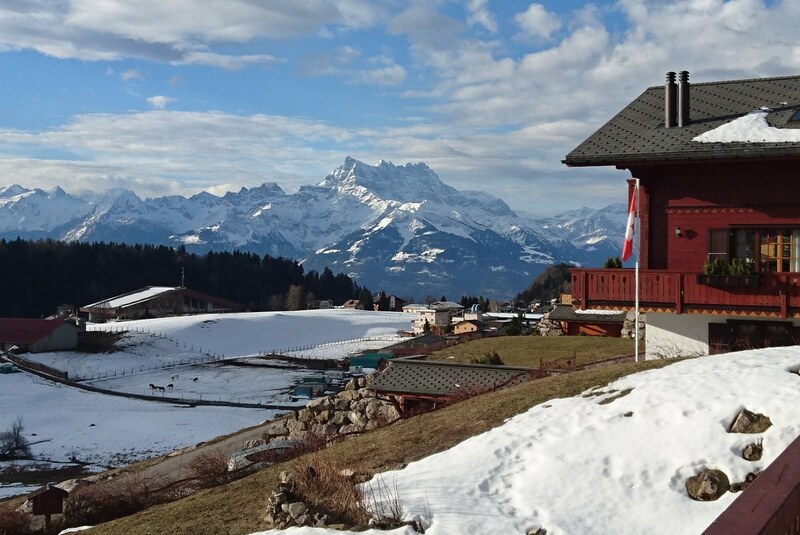 The next PyPy sprint will be in Leysin, Switzerland, for the twelveth time. This is a fully public sprint: newcomers and topics other than those proposed below are welcome. The list of topics is very open. The main topic is Python 3.5 support in PyPy, as most py3.5 contributors should be present. It is also a good topic if you have no or limited experience with PyPy contribution: we can easily find something semi-independent that is not done in py3.5 so far, and do pair-programming with you. Any other topic is fine too: JIT compiler optimizations, CFFI, the RevDB reverse debugger, improving to speed of your program on PyPy, etc. And as usual, the main side goal is to have fun in winter sports :-) We can take a day off (for ski or anything else). Work days: starting 26th Feb (~noon), ending March 4th (~noon). I have pre-booked the week from Saturday Feb 25th to Saturday March 4th. If it is possible for you to arrive Sunday before mid-afternoon, then you should get a booking from Sunday only. The break day should be around Wednesday. It is fine to stay a few more days on either side, or conversely to book for a part of that time only. 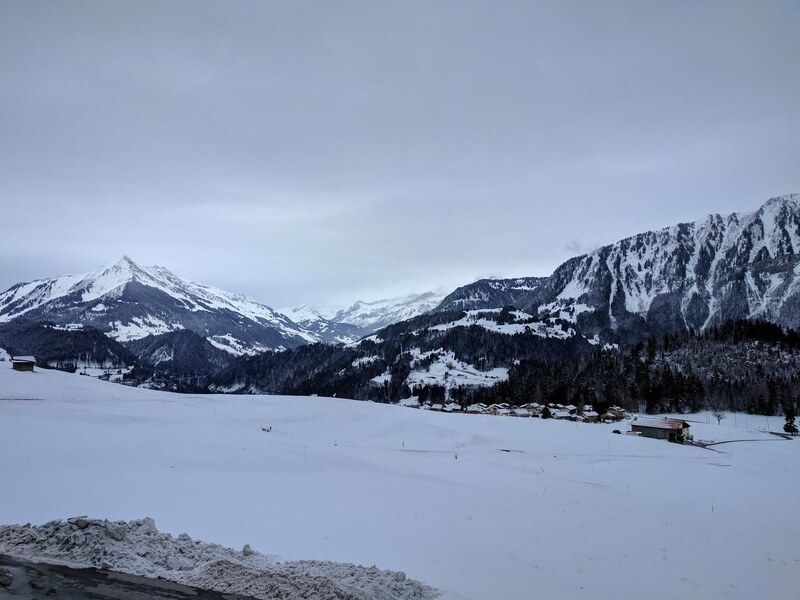 Leysin, Switzerland, "same place as before". 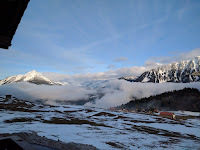 Let me refresh your memory: both the sprint venue and the lodging will be in a pair of chalets built specifically for bed & breakfast: http://www.ermina.ch/. The place has a good ADSL Internet connection with wireless installed. 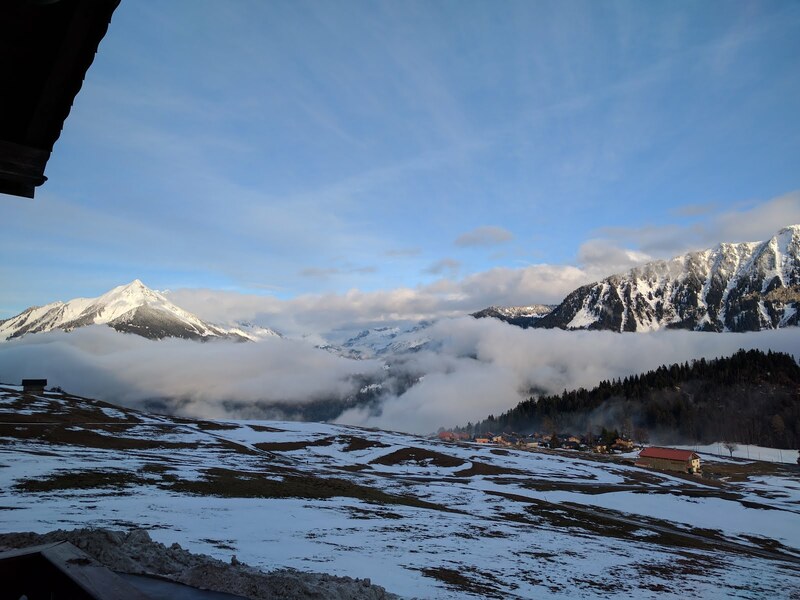 You can also arrange your own lodging elsewhere (as long as you are in Leysin, you cannot be more than a 15 minutes walk away from the sprint venue). The options of rooms are a bit more limited than on previous years because the place for bed-and-breakfast is shrinking; but we should still have enough room for us. 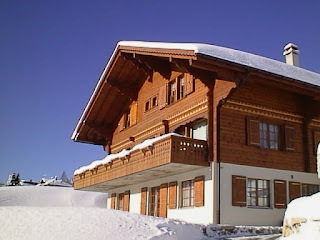 The price is around 60 CHF, breakfast included, in shared rooms (3 or 4 people). If there are people that would prefer a double or single room, please contact me and we'll see what choices you have. There are also a choice of hotels in Leysin.